Maybe you are of the generation that still sends and receives Christmas letters full of tales of A-grades and picture perfect children. How can their lives just keep on getting better and better every year, without even the smallest trouble? What if your twenty seventeen was nothing like that? What if your twenty seventeen was was just average, or a whole lot worse? What if you’re leaving twenty seventeen just as confused as you entered it? Maybe you are scared to hope that this year will even be just okay. What I am not going to say right now is that this is a new year, and it will be better. Because it might not be. I’m not going to tell you that if you have the right attitude, eat the right food and wake up two hours earlier you will achieve everything you wanted to. Because even if this was true, I know it won’t last beyond the first page of a new calendar. What I am going to tell you is that I am slowly starting to realise that this life is less and less about what we do, what we believe and more and more about be still and Knowing God. Not just knowing about God, but actually truly knowing him. Life is about running into his arms and bowing at his feet and just being in his presence. And everything else flows from that. Being a Christian doesn’t safeguard us from trials, it actually guarantees them. But when you Know God, you can find a way through even the hardest times, without becoming hard. You can face hopeless situations with out losing hope. You can be crushed by the pressures of this world but never break. You can be persecuted and abused, but you never forsaken. You can be struck down but never destroyed. I am sure to a lot of outsiders it looks like I am entering into 2018 in much the same way as I entered 2017. That maybe it is taking me too long to move on from a painful marriage and out of my parents home. I know that some people will be confused by the decisions that I have made, but I can honestly say, for the first time in my adult life, that I know I am right where God wants me to be. My life may not be what I imagined it would be, but that doesn’t matter. This kind of knowledge doesn’t come from anything other than learning to slow down and dwell in God’s presence. Try harder. Do better. Don’t be so stupid. These are the words I tell myself. Over and over again every single day. I don’t know about you, but often it feels like I’m about three steps behind every one else, just trying to play catch up. But on top of that I can also be lazy, I know I could try better. (I think most of us do.) So we try to criticize and nag ourselves into submission, and only end up feeling about a hundred times worse. Stop worrying, Care less. Don’t take yourself so seriously. This is the advise should take. These words sound like good advise, don’t they? At least, they’re definitely words that I need to hear! But, in my experience, they’re definitely a lot harder to put into practice. I mean, how are we supposed to stop worrying when there is just so much stuff to worry about? Sometimes I start to relax, and then I remember that there is just so much that I need to be stressed about, that I make myself start worrying again! I know I shouldn’t compare, but when other people’s lives are so much better how can I not. And anyway, if I didn’t compare, how else would I know just how badly I was failing. We can try and try and take this advise, but unfortunately, on our own, it’s simply impossible advice. You’re chosen. You’re loved. You don’t need to worry. This is what I really need to know. If we don’t understand that we are chosen, and truly loved. We are never going to be able to take that advice. We will never be able to relax and just be. The only way to break free from worry is to know the peace that we have in the knowledge that it’s all in God’s hands. The only way we can let go of comparison and feel like we are enough is in knowing just how much God loves us. We could never work hard enough or be good enough to make God love us. Instead he freely chooses to, just as we are. I argue, and tell him that I prefer to speak to people who I know about him. People I already have a relationship with, not complete strangers. Truth is: I’m lying. I’m not afraid of looking like a loon. I’m afraid of sharing the gospel. I’m afraid someone will ask a question I won’t be able to answer. I’m afraid I’ll look stupid. I’m afraid they’ll reject me. I’m afraid and I’m ashamed. But what if they need me, and I don’t tell them? What if they go home tonight and sleep forever? What if they have to live the rest of their life without knowing they are truly loved: Without experiencing real peace and understanding hope? Would my embarrassment be worth them having to live a life without Christ? Would it be worth them having to die a death without him? If we can’t imagine a life without him; why should we expect anyone else to live without him? I think a lot of us have forgotten just what we have been saved and set free from. If we truly knew we wouldn’t be able to help but be the crazy kind of Christian. The kind that just can’t shut up talking about Jesus. The kind that knows that action do speak louder than words; but doesn’t use that as an excuse for not speaking out. The kind that isn’t afraid to look daft sometimes, and who knows that when they take a chance on sharing their faith, that God always comes through for them, and gives them the right words to say. The kind of Christian who knows that sharing the greatest message is the most exciting thing that they can ever do. A couple of months ago I recently re-watched my favourite films from childhood: The Secret Garden. 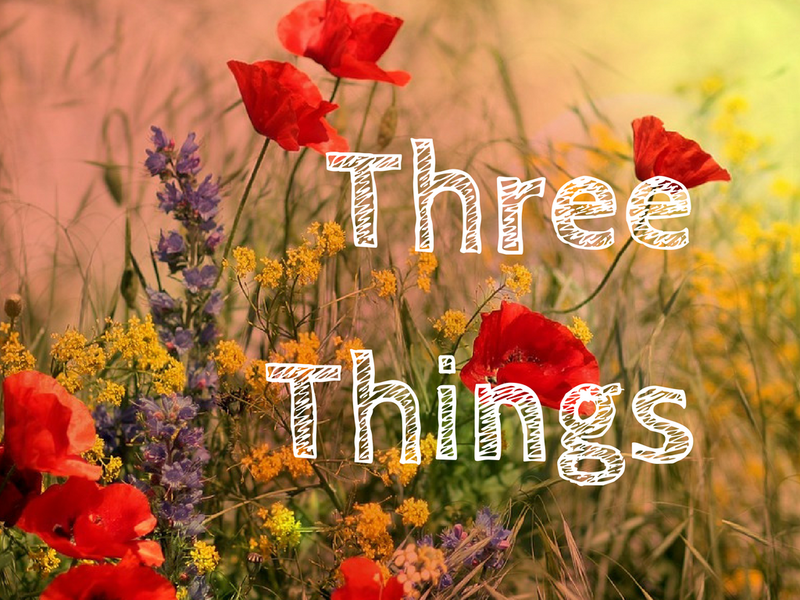 What wasn’t to love: children who are wiser than their parents; secret cousins hidden away; and, of course, the Yorkshire accents! But deeper than that, the story of orphan Mary, sent to live with an unaffectionate uncle, is one that we can all relate to. Her longing to belong, and have a place to call her own resonates, no matter what your age. Colin had always been told that he was an invalid. He spent his whole life believing that he was unwell. Unable to leave his room or have contact with other people for fear of spores. His legs have become so weak that the can barely walk, and looks pale and sickly. As if he were really unwell. Until Mary comes along, and sees through the lies that he has been told, literally pushing him out of his comfort zone and into the daylight. Before she came along he was barely living. He had believed the lies he had been told all his life, living in the dark, barely seeing the sunlight. But when she come into his life, she broke the power of those lies, by telling him the truth. Maybe there’s some lie you believe about yourself. Maybe you believe that you can’t achieve anything, or that you are useless. The only thing that can break through those lies is the truth. When you shine the light on those lies, you begin to realise that they had no power in the first place. This might be hard at first. In a sick kind of way, you, like Colin, may have become used to this half-life. Maybe these lies have been attached to you for so long that flesh has grown around them, and they have to be ripped out. Facing up to the lies, and accepting the truth can be a painful process. And, like Colin learning to walk, it may take time. But when you have been set free you will experience more life than you could have ever imagined possible.